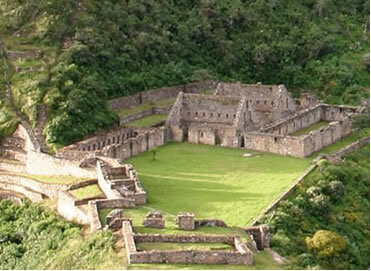 Choquequirao, "the Cradle of Gold", is probably the last Inca outpost in the province of La Convención, Cusco. 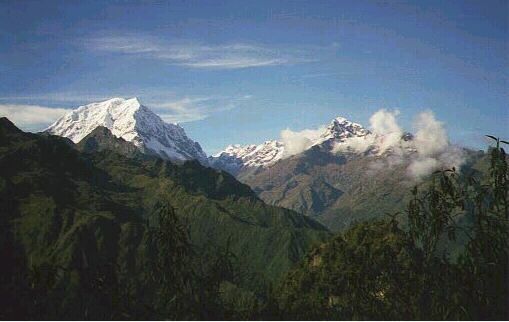 At 3085m, it is on a promontory on the western flanks of the Vilcabamba range, nearly 2000 meters above the raging Apurimac River. 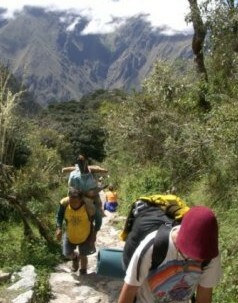 The Apurimac is responsible for carving one of the world's deepest canyons. 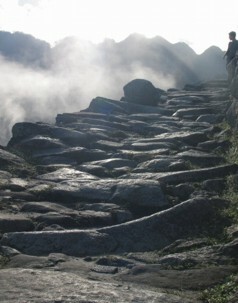 Wedged in dense cloud forest, it is comparable in size to Machu Picchu. It is accessible only by a tough and demanding trail, which ascends and descends almost 1500m twice, in a zig-zag pattern. 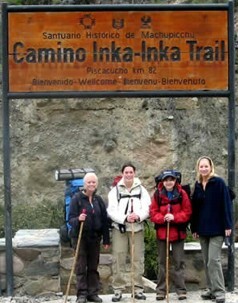 Within just a few kilometers it offers the extremes of glaciers at over 6000m to steamy tropical valleys at 1800m. It is believed that around 1200 people lived there among Kings, Queens and High priests adorned in gold and feathers and necklaces. 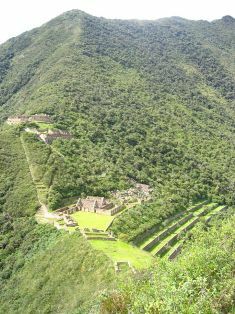 Choquequirao has sweeping staircases, ritual baths, temples and squares where ceremonies were held must have made for a very elegant life. Only 30 percent of the ruins have been uncovered and there are more in the area still covered by thick jungle. 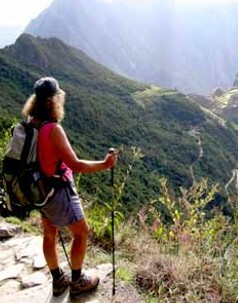 Locals believe that when the final blanket has been lifted, Choquequirao will outshine its more famous neighbor, Machu Picchu. Money from tourism is important to continue the arduous jungle clearing.